At Inlight, we believe that social media is a critical part of most business strategies and if used in the right way can be a key contributor to the overall success of your business. However, it seems that there is still some resistance out there when you talk to CEO’s and upper management about social media. 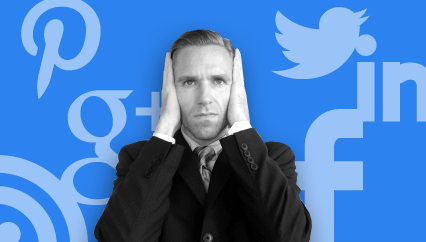 Social media is often viewed as a distraction rather than an opportunity, and many CEO’s can’t make the connection between social media and business results. This is where you come in. As a social media evangelist or marketer, it’s your job to convince the CEO that social media is critical to his or her business. You need to break it down, simplify it, and unlock the value in social media and lay out for all to see. Here’s our practical advice to help make that job a little easier and get your CEO across the line when it comes to social media. Have a clear and concise social media strategy in place that is aligned with your marketing or business strategy. Having a clear strategy is critical to achieving social media success and your CEO and management team will feel much more comfortable if this is well defined and relates closely to the business strategy. Start by providing the key learning’s from your listening tools. What is being said about your brand? Where are the conversations taking place? What are the key themes? Take this information and use it to inform your strategy and show your stakeholders what is already happening in the social media space. Your social media strategy should be crystal clear and you should present it to as many senior stakeholders as you can across the business. To be successful social media needs a champion, but it also needs buy-in from all areas of the business. Put the right frameworks and governance in place and address the key risks head on. This one is key to putting your CEO or manager at ease and there’s no excuse for not having the right social media frameworks and governance in place. If you’ve done your planning and put the right governance in place, you’re on your way to social media success and will avoid having to deal with potential issues and uncertainty along the way. How many people have you reached via social media and what is the estimated value of these impressions when compared to paid media? What is the downstream traffic from social media to your website? What type of behavior or conversions is this driving on your website? What impact is this social media traffic having on your SEO rankings? How many unhappy customers have you turned into satisfied customers? How many customers have you retained and what is the value of this? What is the call deflection rate if you service customers via social media? What are the savings that this delivers to your business? If you’re looking for an example of a well-structured social media report that demonstrates value to your stakeholders you can download our free social media report template here. If you’re still working on getting a social media presence up and running for your brand, a great way to demonstrate the value of social media without actively engaging is to complete a thorough social media listening report. Tools such as Radian6 and Sysomos can help you develop a sound understanding of how your brand fits into the social media landscape. The report should help you understand what is already being said about your brand and you can point out to management that although you’re not yet active in social media people are already talking about your brand. The fact is that you can’t opt-out of social media and that every complaint or negative conversation that goes unaddressed is damaging your brand credibility. Now you’ve got their attention you can go on to demonstrate how many conversations are taking place, where they are taking place and what the key themes are. There is a lot of value in this data and it should help inform your strategic approach to social media. The next step is to make sure you have the right strategy in place.